I love your weaving, dear lady. Football and Fashion? Is that like Action and Dialog? When I shared a scene from the novel I’m writing, I was amused by the men who said that they wanted more action. I thought they meant that they wanted gun fights in my scene of two women hanging out talking after a busy day. It turns out that they wanted the women to get up and tend the fire, get a bottle of wine, get snacks… But they’ve been carrying furniture in and out all day! Can’t they take a break? One also said that I’d better not have characters talk about clothing, or else that will be grounds for moving on to reading something else. Finding common ground for people who have very different interests happens to be one of the major challenges for the main character in my novel. I pulled some examples from my life, too. Like sports, food can be a biggy. In answer to your question, nope can’t say I’ve taken up a hobby or interest to play my mate. Maybe this is the reason my 3 marriages failed hmmm, I’ll have to rexamine relationships 101. I don’t like sports and never got football but whenever I have gone to a sporting event i.e. the Pirates or Steelers it’s always been more of a social event. My last hubby (avid hockey fan) was so upset when I scored free tickets (in the private box no less) I took a friend of mine and neither of us knew what was going on with the game. But being among the elite for one night had it’s privilege the food and beverages were divine!!! ;-). so three is NOT the charm?? Darn…..I’ve been married twice and was kinda holding out some hope for the future. You’re too funny! I would also go to a sporting event and be food focused!! Thanks for dropping in here! 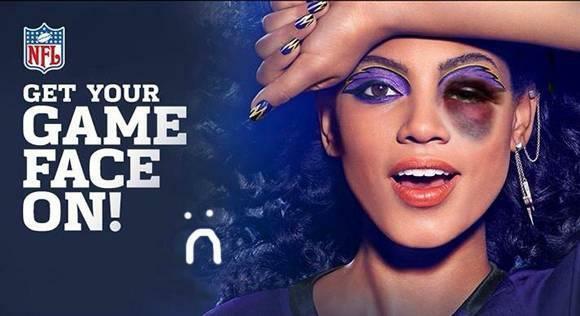 And that last NFL ad with woman’s eye bruise is just so awful bad and wrong. My partner doesn’t watch football. And I’ve tried to understand the game and gave up. Hey, I don’t even have a tv. So our spectator sport is each other and cycling together to look at stuff as we pass by. Now as to your question: I started riding on the bike of an ex-boyfriend’s bike and when we broke up, I knew the greatest thing I’d miss was the bike. 5 years later, I’m on my 4th bike (not by choice of course – the last was wrecked through no fault of my own). I took the love from Single Malt Scotch out of another relationship. So yes I started enjoying these things because of the man, but am still loving them years after the man. I have St. Louis Cardinals (little redbirds,) the New Orleans Saints (gold and black footballs), and University of Tennessee (orange helmets) earrings, my own attempt to drag sports into my fashion world. Your clever word play is funnier. I tried helping him paint the house once. I spent 10 minutes getting ready (ie finding and wearing old clothes), I spent 3 minutes painting a window frame, with hubby saying over and over “don’t paint the glass, put more paint on your brush, not enough paint on your brush”. I took up tennis for a day. Got the mini skirt, matching tennis shoes, proper polo and white vizer. Fashion perfect Kournikova style. Of course, all that is molding in my wardrobe now! At least I have a cute photo, racket in hand; sweat on temples. That was another right up the middle SCORE of an article. It’s a COIN TOSS to see who the fans were cheering on. Was the dog on the SIDELINES waiting for more chips or in the END ZONE with you looking for EXTRA POINTS? Another ALL STAR article. Thank you, but Another Commenter who can out-funny the original blogger!! Hmmm, but are YOU featured on Huff Post this morning? 😉 Sorry, but I feel I can brag a little bit extra to you! Just slap me in person. You most certainly do have some bragging rights and well deserved I might add. I might still have to spank you. I think you took a little OFFENSE and got a bit DEFENSIVE about the comments he made about the ad though I totally understand your surprise with the FALSE START. I’m sure you would’ve liked to do a bit of BLOCKING or even QUICK KICKED the END ZONE of your ELIGIBLE RECEIVER..
but in the end, you must realize – you’re only dealing with a chap! Oh you little “Prompt (AND CLEVER!) Reply,” you! Always out-witting the blogger. I am going to make that the next subject of a post! 😉 Thank you! Uh-oh….I feel a bit nervous…. I will gladly discuss fashion with you. Because somehow when God was passing out the football gene, I missed that one. Only thing. I also missed the shoe gene. As long as you didn’t miss the sunglasses gene. I have 30 pairs. Now sunglasses. That’s a whole different horse of a different color. Course if you stand next to me you won’t need them. I make trees look short. Humor and intelligence to expose some truths, Stephanie :). On a side note, I dated someone who was obsessed w/ football- six nights a week or however many there are games shown on tv. drove me nuts! Oh goodness! Well this is fictional. Luckily for me, he has no interest. He doesn’t even own a television! Thank you! ha, Donna. Thank you, you clever commenter blogmate! But I think I get benched far more! Lemme total that up and get back to you. On the other hand, (pardon my obnoxious boasting here) I just found out I am top and center on HuffPost again today! My life is sooooo mundane that this tops my bucket list. I’d say that’s a he!! of a home run! Congratulations! I firmly believe pro sports should be abolished. I have sat through a few painful local football games in early November as a newlywed thinking it was good for us. Pffft. Bah. Never again. I’d rather shop solo in a mall. Clutch-down! How do you do it??? Heya! Newlyweds will bend over backwards…. Then it’s like, okay “I gotta be me!” Thank you, as always! Brilliant! With your clutchdown pass and his hand-off to that tight end, you both will make the playoffs. Just watch out for those OFFENSIVE hemLINES. OFFENSIVE hemLINES! HAHA! Can you sit next to me when I write my next post?? Btw, I’d use the distraction of sports to do all the things us girls do to look uber glam (or, in my case, at least normal). He’ll be too absorbed to consider anything other than that it all just happens without any effort whatsoever. 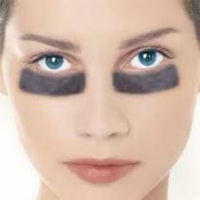 Just don’t flash your fake tan lines at him, even if you’re just wearing his shoulder pads – it never looks classy. Nobody thinks anything that occurs on my Person happens effortlessly. I whine too much about how “Beauty is Pain.” And I’ll be sure and mind my fake tan protocol. Thanks Ms. GSM! The only time I can think of football and fashion working is Posh n Becks. Not that I was ever into Beckham’s football skills, but that bit where they all swap shirts at the end was always nice. Fortunately my hubby isn’t too into sports and even takes a bit more interest in fashion since we got together. I do think the football players are onto something with the skinny jeans and shoulder pads though. They were rockin’ the 80s look all along! Yes, they surely were! I should have made mention how “passe their 80’s look is” above. Will you ghost write my next post for me?? And rhyme it please! For a star like yourself? I could only hope your readers would not be disappointed!! hey, thank you! And I love your Orla Kiely post! !